There are safe, high-probability ventures. There are risky, low-probability ventures. That’s a silly question. Financial investors scoff at such an idea. They resist the notion that you explore one or the other. They say you explore both. A classic portfolio strategy is to blend high-risk/high-yield and low-risk/low-yield investments to create a stable, mixed approach. It works for investing. It’s a great way to manage risk. But what about other ventures? When you carefully read this week’s book, Nassim Taleb’s The Black Swan, you can see that risk is far more prevalent in far more places than we care to measure. That seems obvious but the trick is knowing what to do about it. We understand how to manage risk clearly enough through probabilities measured in insurance, stocks, bonds, casino games, and weather forecasting (e.g., percent chance of rain). But what about arenas where there are no such measures? What, for example, are the odds of being a successful baker? What is the likelihood (i.e., risk) of failure? How do you minimize that risk? Well, it depends. If the terms “successful baker” equate to operating your own bakery, the odds are very different compared to another definition that includes hosting your own television show a’la Cake Boss. In either case, for something like that, you need a good bit of luck. Also known as “favorable randomness”. Taleb’s prior book, Fooled By Randomness, helped us understand how luck/randomness plays a large role in the world. It’s practically everywhere. In that book, he helped us first see how to take advantage of that luck regardless of venture. I dedicated a week to the ideas and you can find the final book review here. Within that study, the author planted the seed of an idea that really starts to sprout in The Black Swan. The past two days involved a study of two very different worlds that coexist in our daily lives. Our author calls the first world Mediocristan. It is the world of Gaussian distribution, reliable prediction, and thin-tail events. There are very few surprises and outliers in this world. The trains always run on time. Then there is the realm of Extremistan. This realm is ruled by Mandelbrotian (power law) distribution. Prediction is harder, never as reliable, and surprises always abound. In this realm, what we think of as “outliers” are more like a feature than a bug. The trains often run on time. But not always. And never in patterns you can detect. And when the trains do arrive at the station, some are steam trains, others are bullet trains, some are just hand carts from a mining shaft. And just when you start to adjust to all these different kinds of rail-based vehicles, something wildly unforeseen happens and the rails all disappear. An asphalt road takes its place. 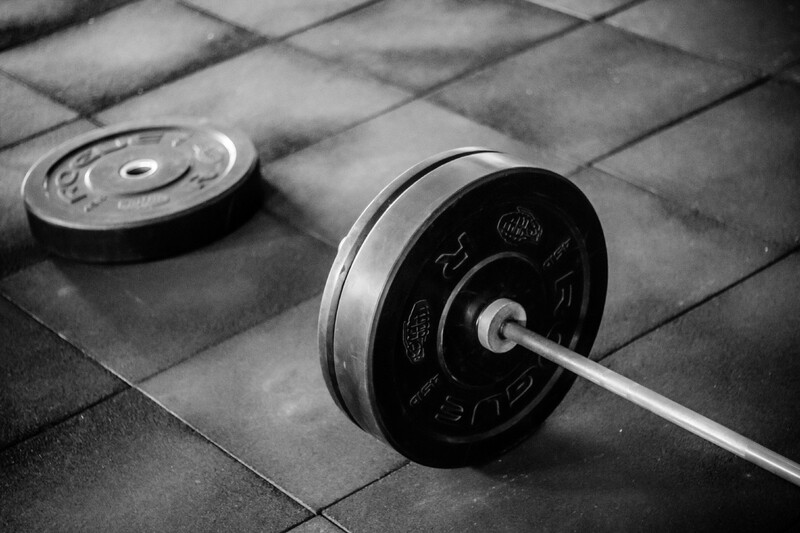 … your [barbell] strategy is to be as hyperconservative and hyperaggressive as you can be instead of being mildly aggressive or conservative. Instead of putting your money in “medium risk” investments (how do you know it is medium risk? By listening to tenure-seeking “experts”? ), you need to put a portion, say 85 to 90 percent, in extremely safe instruments, like Treasury bills — as safe a class of instruments as you can manage to find on this planet. The remaining 10 to 15 percent you put in extremely speculative bets, as leveraged as possible (like options), preferably venture capital-style portfolios. I think this makes sense as a standalone quote of the text but there are 204 pages of setup that precedes this beautiful punchline. Please read the whole book to get the broader gestalt! And to help, let’s dive together, here and now, into the richness of this idea. Nevermind the financial application. Let’s consider this in every aspect of our efforts to strive for something better. Is It A Hobby Or Your Life’s Work? Hobbies are important. Anyone who wants to make beautiful cakes strictly for the fun of doing so is in quite a fortunate position; they’ve found something they love and it doesn’t carry any additional pressure. They can do it because they love doing it. Again, that’s wonderful. Writing sonnets? Fishing? Painting? Quilting? The same applies there, too. If you make lovely quilts for the fun of it, with no burning ambition to become The World’s Richest, Most Successful Quilter, then I think you have found something that everyone needs: a genuine hobby. But consider the aspiring baker. If this person has deemed baking to be their “life’s work”, and they want to open a bakery of their own and perhaps, someday, be featured on some reality TV show, then the worst thing they can do is treat this work as a hobby. That is akin to buying a “medium risk” stock with the aspiration of getting rich. No one will get rich buying “medium risk” stocks. At least, not without a long time horizon. Yet, hyperaggressive activity has its limits. Taleb would be the first to say, given all the context leading to this point in the book, that you would be very foolish to just take on a $100,000 small business loan and open up a shop tomorrow. For one, you don’t have a clear sense of the risk regardless of whatever “market analysis” and “business plans” you may have crafted. This is a hard truth about Extremistan. And opening a bakery is definitely a venture that occurs in that fabled realm. Such a place is littered with dead, debt-ridden remains of these kind of ventures. One fundamental reason is that such an approach is akin to a bullet strategy instead of the barbell. In the bullet strategy, you basically give yourself one shot. In the dark. With specific conditions of success and failure. You try to hit a target you can barely see. It sounds heroic to take a big jump on a hope and dream. And that’s true: it is heroic. It’s also risky. Unnecessarily so. So do you want to maximize the chance of success or experience the thrill of a bold, risky move? If the bold move is what you really want, bungee-jumping might be a better idea. Anyway, in the context of the barbell strategy, the idea is to instead invest 10–15 percent of your time and money and effort into that high-risk, high-reward venture. This isn’t a fixed rule; just a rule of thumb. So if that’s venture capital, as it relates to finance, I think it’s also akin to selling your baked goods at a farmer market and a part-time catering service, as it relates to the venture towards a full-time bakery. But that’s just the start. The key here is not lose the idea of the “hyperaggressive” investment. I have had to learn this the hard way in my own endeavors. Hyperaggressive investments in the financial world do not include, say, purchasing stock in railroad companies. Or congolmerates like General Electric. That’s like dipping your toe in the risk pool. Similarly, “hyperaggressive” investment in any other risky venture means you do all that you can to gain giant leaps and huge, chunky growth spurts. Not a 2x but a 10x return. It’s a real “all or nothing” approach with a small cache of resources. This means that the aspiring baker must try to create something new. The first ten attempts might lead to nothing. 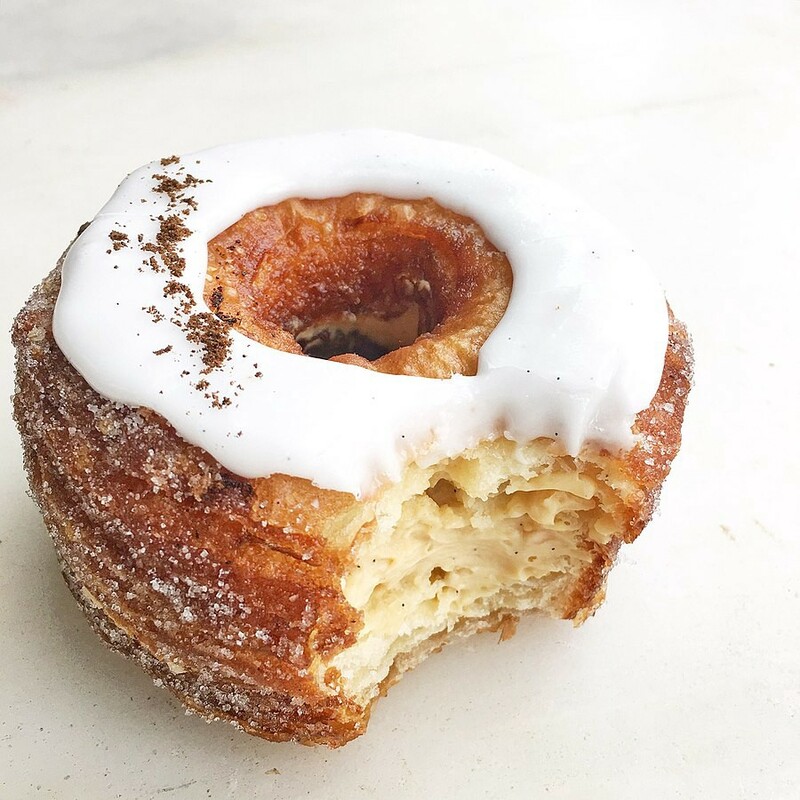 But the eleventh attempt just might become the next cronut, that very special thing that makes you what Seth Godin calls a Purple Cow. Behold the power of the barbell strategy! Image from Wikipedia. Once something new and unique gains success, the power laws that occupy Extremistan start to shift in your favor. Now you can move into another category within the distribution. This is the sort of thing covered in yesterday’s article. Now the odds are so much better. By the way, speaking of Seth Godin, one of the riskiest things he’s done is publish a blog post every day for many years now. Over 7,000 posts. Less than 1% of those posts really become a “hit” by any measure. But he plays those odds anyway. Because that 1%, over time, has massive return. It seems risky and it would be if his entire livelihood depended on it. Just remember that all that talk about risks only occupies 10–15 percent of your time and resources. Perhaps 20 percent. But not 50 percent. Never half. Asymmetry is important here. You want to skew the majority of time and resources to safe investments. Financially, Taleb speaks of this in terms of Treasury bills or AAA bonds, perhaps. For the aspiring baker, this means a steady job that provides the foundation for the risky venture. For Einstein, it meant working at the patent office. For Stephen King, it was being a teacher. Such jobs live happily in Mediocristan where the risk is low, the future is predictable, and the harbor is safe. No one wants to admit that this is the best approach. I get it. I want to just write these articles and future books from the inside of a cabin far away in the mountains where I escape the rat race forever. The urge to just start the bakery now (to hell with the odds!) is surely the same. In both instances, passion and the stories we tell ourselves (e.g., narrative fallacy) compel us to act with unnecessary risk. It’s as if we want to land on the shores of Extremistan and burn our boats. No going back! It is much more sound to take risks you can measure than to measure risks you are taking. You can measure risk in Mediocristan. You can know the risk of failure (lost job) in a lot of good, steady jobs. That’s precisely the reason we take those jobs. That doesn’t mean you don’t take other risks, the ones you can’t measure. It just means, again, that you don’t bet the farm. So whether it’s T-bills for finance, steady jobs prior to startups, or product tests prior to product launches, the lessons are the same: be extreme. At both ends of the barbell. Be hyperaggressive (e.g., the next cronut or 7,000 blog posts) and hyperconservative (steady job). In future work, I’ll explore ways to be hyperaggressive in a systematic way. It rhymes deeply with the principles of Eric Reis’ The Lean Startup. For now, a great starting point is to think about systems from this review of Scott Adams’ book on self-improvement.